With SWDP's wide range of open rack products, supporting network equipment in an environment of unrestricted access is simple and feature rich. By combining a high quality high strength design with expandable adjustability, a total solution approach is possible. We provide high density cable pathways and cable management options along with all the shelves and accessories you need to store and organize your networking equipment. 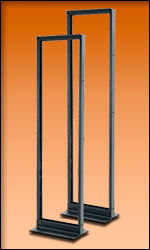 SWDP has been the leader in providing 2 post relay racks for the past 25 years. They assemble quickly saving labor costs, provide a strong structure for network equipment and a multitude of cable management optional accessories. 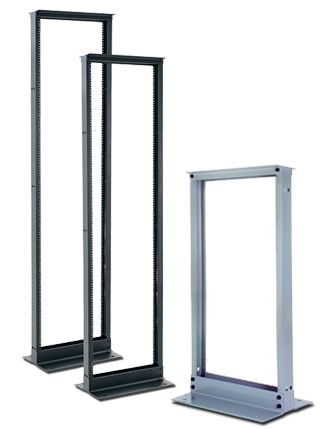 SWDP's 4 post racks provide a cabinet support structure in an open environment. 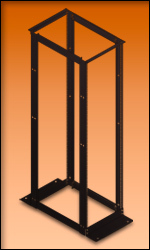 Models include server racks, adjustable depth units, caged nut and threaded rail versions. 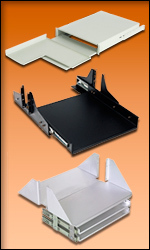 Available rack accessories include mobile platforms, mounting bars, rack PDU's, blank filler panels in all RU sizes, Cable Jumper Trays, seismic bracing and floor mounting hardware. Any conceivable weight load, mounting provision and hardware support shelves are available with SWDP's comprehensive rack shelving systems. They work side by side with our cable management products and provide a safe secure way to hold equipment in a 2 post or 4 post open rack. 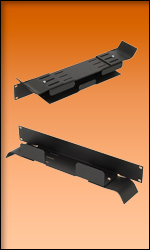 Equipment Shelves that include single and double sided, center weight, sliding, adjustable depth, vented, 2 and 4 point mounting.